Rug cleaning is one of the most important services you need to invest in your home or business. If you do not keep rugs in your home or office clean, they can harbour germs and create a wealth of problems. You need to find a reliable company which can offer services at your own convenience. If you reside in London then we are the firm to hire. London Cleaner is a well-respected cleaning company that has been around since 2001. They offer the best rug cleaning London at very competitive prices. Furthermore, our rug cleaners in London are well trained to handle this kind of service. 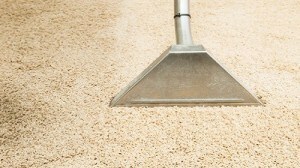 Rug cleaning is done using state of the art cleaning equipment and machinery. The cleaning techniques used are also very effective. We only make use of the best performing machines to ensure this service is done perfectly. We have team of highly qualified, motivated and experienced rug cleaners London. They have received training from equipment manufacturers on how to conduct cleaning using modern machines. This is a way of ensuring that our clients enjoy high standards of services from the right professionals. For your rugs to maintain their original look and feel, they have to undergo regular deep cleaning. This is what many rug manufacturers recommend. They also have to undergo the proper cleaning method to maintain the right texture and feel. You have a choice between wet cleaning system and dry cleaning system. All the chemicals that are used are non-toxic and biodegradable. Your rugs will be left perfectly dry and clean just three hours after the cleaning is complete. Contact us for more information and a free estimate on 020 8884 9142. You can also consider our other cleaning services like upholstery cleaning, carpet cleaning and curtain cleaning. All these services come at an affordable price.